We're still waiting on the first update to Android 4.0 Ice Cream Sandwich for Motorola smartphones, but the manufacturer has just given an update which devices will receive ICS. The Droid Bionic, RAZR (the whole line) and Xoom were already known (and the Xoom Wifi has already gotten its update). Same goes for the recently released Droid 4, as well as the XYBOARD tablets. New on the upgrade list are the Photon 4G, Atrix 4G, Atrix 2 and Motorola Electrify. 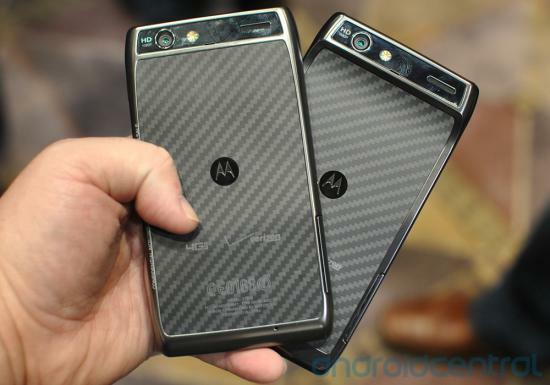 Still no word on precise timing for updates, though Motorola does say "Our engineers and designers are combing through the code and preparing it for you" and that it's shooting for Q3 (July-September) updates for the RAZR, XYBOARD, Photo 4G and Atrix lines.